ERP means different things to different people. Originally the term was used in the 1990s to describe extensions to manufacturing (MRP) systems employed by large organisations. These days, ERP systems are considered vital to even the most modest businesses because integration is needed between the various processes in the business. ERP software typically consists of multiple software systems, individually purchased, and loosely integrated to meet the needs and technical capabilities of the organisation. Each system is focused on one area of business processes, such as distribution or CRM. A business can use ERP software to manage back-office activities and tasks. There are a multitude of ERP system providers but very few have true integration between the various elements of the system. Most have separate systems for each function loosely connected and require considerable consultancy effort to achieve the complete integration that is needed by the business in practice. This approach makes implementation of an ERP system very expensive. Greentree has everything that other 'systems' have but is different in one very fundamental respect. All of the systems are one. Everything is in one unified database and all of the modules are integrated. 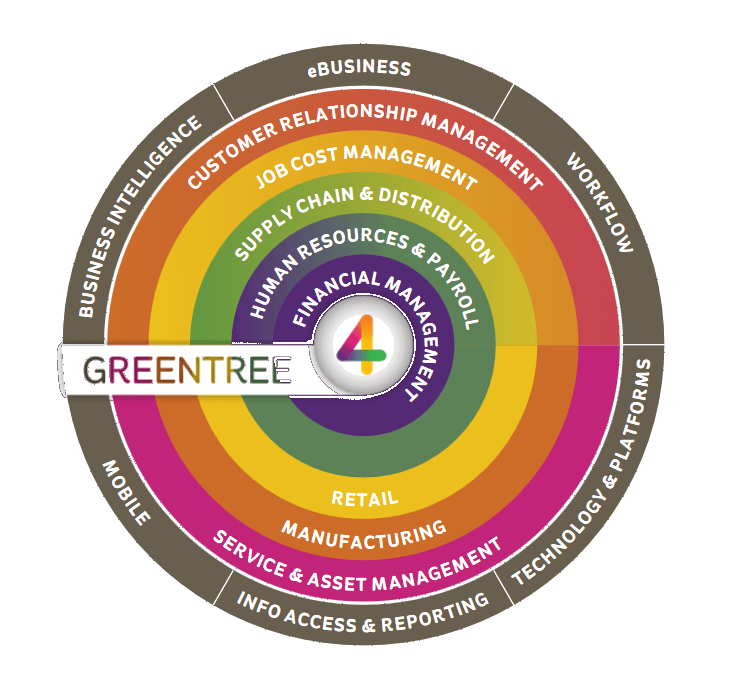 In essence, the Greentree ERP system is a computer system that provides integration between different areas of a business. A single system that allows the organisation to manage and coordinate activities within different parts of the business and 'join up' business processes.